CabForward is known for Ruby on Rails and iOS development, and is growing to meet the global demand for rugged software. Our new clients are bringing the kinds of exciting projects that require Senior Developers to deliver the next generation of software. We are thrilled to add Darren and Patrick to our team. CabForward, LLC, a web development studio based in Austin, TX, has announced the appointment of Patrick Morgan and Darren Smith as Senior Developers. Morgan is widely recognized as a an expert in software, security, architecture, and hardware with over 13 years experience. Smith is a an experienced programmer / entrepreneur / specialist with over 7 years experience in product and software development. Together they deepen CabForward’s expertise in creating secure and scalable Rugged Software. Patrick Morgan believes that both CabForward and Austin share a unique identity, stating, "As CabForward has matured over the past few years, so has the community of Ruby on Rails. With frequent meetups, hackathons, events, and networking, Austin has emerged from the shadow of established tech hubs, such as San Francisco, and created an identity all its own." Darren Smith shares his thoughts joining CabFoward, "I was looking for a company that practiced software development with Test Driven Development, Continuous Delivery, Lean Development, and Agile Project Management. This means I can create great software, but also, to set new standards on how software is developed - to improve software for those who use it." CabForward builds and deploys rugged web, mobile and social applications using the latest proven technologies such as Ruby on Rails and iOS. Their team has grown from two to over twenty developers since 2011, all based in Austin, TX. 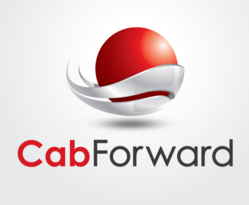 CabForward is a thought leader in customer-driven product development and rugged application design. CabForward donates 1% of its profits to LoneStarRuby Foundation (http://www.lonestarruby.org).